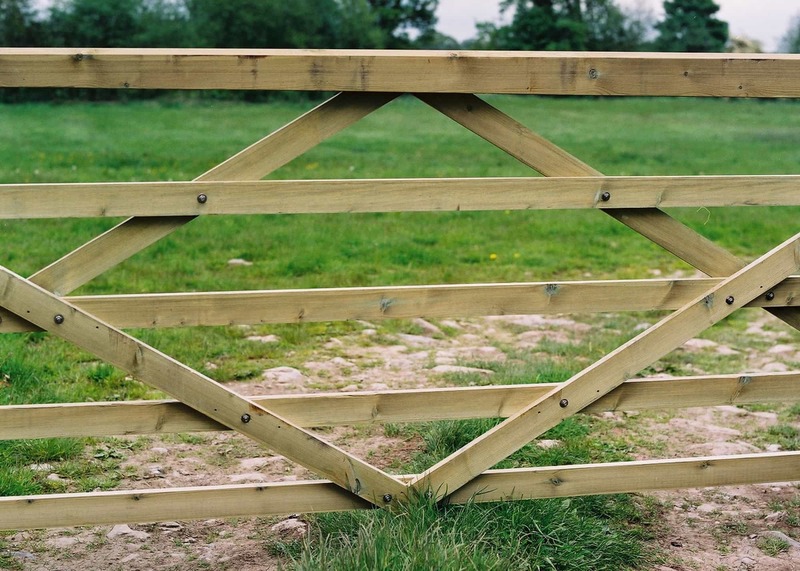 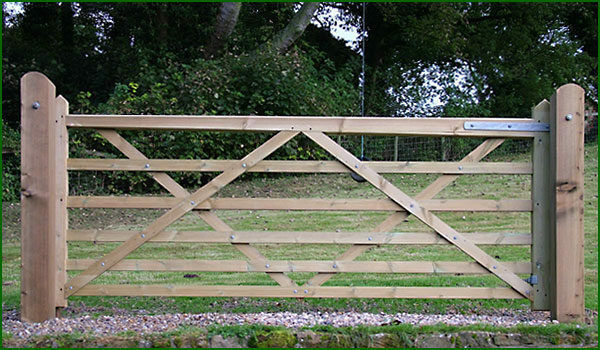 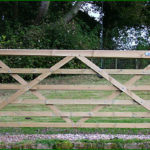 These 5-bar field gates are locally manufactured out of softwood and pressure treated. 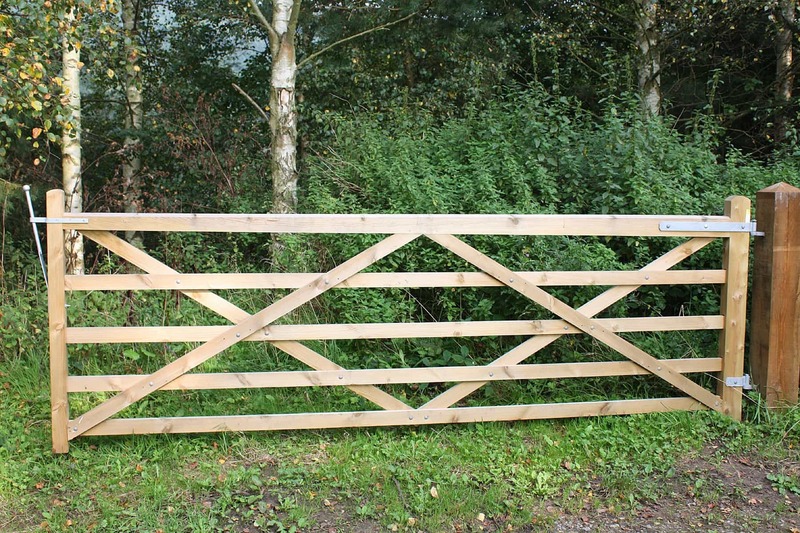 They are practical and sturdy, suitable for field and track entrances and make excellent equestrian or bridle gates. They are manufactured for the agricultural sector using fencing grade quality timber and are not guaranteed to be fully planed. 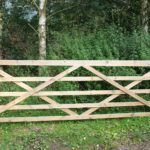 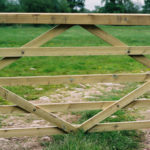 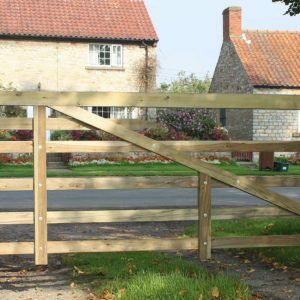 We suggest the following sizes of gate post depending on the size of your gate: 3’ – 6’ wide gate would need a 8’ x 5” x 5” gate post; 6’ – 8’ gate requires a 8’ x 6” x 6” gate post; 8’ – 10’ gate would need a 8’ x 7” x 7” gate post; 10’ – 14’ gate a 8’ x 8” x 8” gate post.